Architectural history has been taught within the Department for many years. The subject is defined broadly to include the built and designed landscape, and aspects of interior design. The programme is designed to enable students, including mature students, to undertake individual research. Past students have studied for the intrinsic interest of the subject as well as in connection with careers in heritage management and conservation. The programme draws on considerable experience in providing advanced tuition in architectural history. It profits from the close links within the Department between the disciplines of architectural history, art history, design history, English local history and landscape archaeology. It also has links with other parts of the University, particularly the Faculty of History, the Department of the History of Art, and Kellogg College, amongst the Fellows of which is the concentration of architectural historians associated with the University. Supervision on the DPhil programme is provided by specialist tutors from the Department and elsewhere in Oxford. In broad terms, supervision is possible in most areas of British architectural history (as defined above) from the middle ages to present, and some European topics. In terms of Great Britain, academic staff currently have particular research interests in ecclesiastical buildings; medieval castles, great houses and their landscapes; country houses; vernacular architecture; urban and institutional architecture, especially of London and Oxford, from 1660 to the present. The part-time DPhil regulations require a period of five to eight years’part-time study (equivalent to three years' full-time). Research students may be required to undertake appropriate research training provided within the Department. In addition, they will be strongly encouraged to participate in seminars and informal meetings with staff and other researchers both within the Department and elsewhere in the University. The major commitment of time will be to individual study and research, involving wide and intense reading, data collection (which may include fieldwork) and analysis, and writing. All students studying for a master’s degree or DPhil must be a member of a college. Applicants may wish to note that the majority of students on part-time degree programmes are members of Kellogg College and most of the tutors and lecturers are Fellows of the College. Kellogg is dedicated to graduate part-time students and has developed a unique expertise in attending to the intellectual, social, IT and welfare needs of part-time, mature graduate students. The College is based a short distance from the Department on the Banbury Road. Applicants may, however, also wish to note that Lady Margaret Hall, St Catherine’s, St Cross, St Stephens House and Campion Hall have an interest in students on this programme. 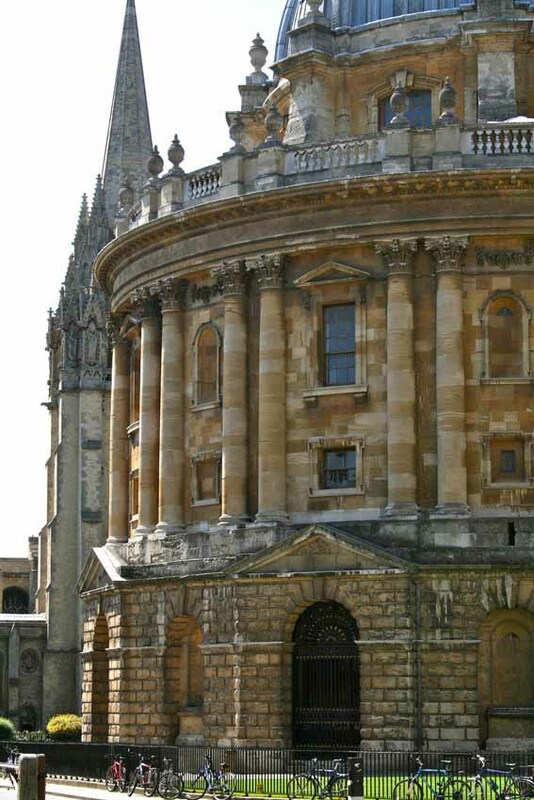 Registered students receive an Oxford University card, valid for one year at a time, which acts as a library card for the Departmental Library at Rewley House and provides access to the unrivalled facilities of the Bodleian Libraries including the central Bodleian, major research libraries such as the Sackler Library, Taylorian Institution Library, Bodleian Social Science Library, and faculty libraries such as English and History. Students also have access to a wide range of electronic resources including electronic journals, many of which can be accessed from home. Students on the course are entitled to use the Library at Rewley House for reference and private study and to borrow books. The loan period is normally two weeks and up to eight books may be borrowed. Students will also be encouraged to use their nearest University library. More information about the Continuing Education Library can be found at the Bodleian website. The Department’s aim is to treat all students equally and we welcome applications from students with disabilities. Individual student needs are taken into account as far as possible, providing necessary adaptations and assistance within the resources available. If you disclose your disability on your application form (which will be confidential) we will aim to make reasonable adjustment to ensure all academically capable students are able to participate. For entry requirements, selection criteria and how to apply please visit the course page on the Graduate Admissions website. Please visit the DPhil in Architectural History page on the University of Oxford Graduate Admissions website for details of course fees and costs. Rosemary had a varied career before studying for a DPhil in Architectural History, where the Department’s staff encouraged her for six years.